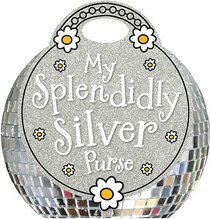 My Splendidly Silver Purse is a fantastic new book for children who love silver. With bright, glittery photography and charming, rhyming text, this book is a wonderful introduction to learning about colors in a fun story perfect for children exploring first concepts. Children will love to read the adorable story of a silver fairy giving silver gifts to all her fairy friends. A fabulous book for both parents and children to enjoy together. The carry-me handle means this gorgeous book will be taken and read everywhere. About "My Splendidly Silver Purse (Make Believe Ideas Series)"
Unavailable. This item is being reprinted. There will be a delay in fulfillment of your order. 0 Available.